DNAction: The New Breed is a cancelled fighting game that was in development for the Super Nintendo and Genesis / Mega Drive that would have been published by Accolade, Inc. in 1994. Accolade made its name in the late 80’s and early 90s with franchise’s such as Test Drive, Hardball, and Bubsy but started losing steam around the mid 90’s which caused the company to want to shift focus and reinvent itself. 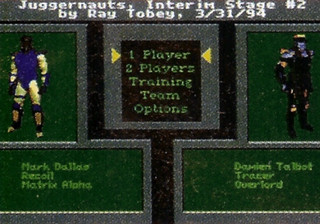 It is possible that this change of direction in the mid 90’s was the cause for some games to be cancelled in development such as DNAction. Accolade was also purchased by Infrogames in 1999 so any hope of the game being revisited seems to have ended there. Although The game was never released, some info about the project and various character renders were found in old gaming magazines as Games World #1, Banzzai #21 and GamePro #56, plus some in-game screens from an early prototype found in Player One #43. DNAction used pre-rendered sprites for characters and backgrounds, created with Silicon Graphics in the same way as Killer Instinct. The game was to be placed in a future setting with scientists being able to genetically enhance humans to create their own superheroes. Some, however decide to use their powers for evil thus pitting a rivalry between those who received super powers. 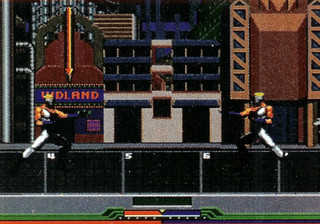 There were at least four planned playable characters: Pitbull and Hotshot who were members of Matrix Alpha, the superheroes trying to help society. Then the two members of the evil organization Overlord: Ground Zero and Tracer. An additional 4 characters were shown, Shockwave and Banzai (Overlord) then Recoil and IronClad (Matrix Alpha). Thanks to Celine and Rod_Wod for the contributions! Last updated by U64 Staff & Contributors at 28-09-2015 . I’ll forward you the Mean Machines Sega coverage as well.